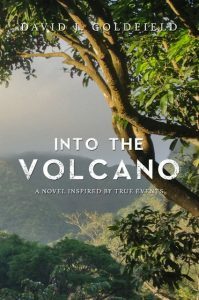 Join local author David Goldfield for the launch of his novel Into the Volcano at the Rideau Sports Centre (1 Donald Street) on Friday, April 27 from 6:00-9:00pm. We’ll be there selling books, so be sure to stop by the book-selling table to say hi…and to buy a book! Previous Previous post: Tips for a bookish March Break: Hilary was on CBC!